At The Law Offices of Keith F. Simpson, APC, in Manhattan Beach, California, we protect your rights and interests and work diligently toward obtaining the favorable outcomes you seek for all of the serious and sensitive legal matters arising from your divorce. Serving clients throughout the South Bay region of Los Angeles and all across the state, our law firm's founder, attorney Keith F. Simpson, has more than 20 years of successful legal experience, and our office provides exceptional advocacy and support to those who seek to resolve their conflicts and reach agreements with regards to child custody and support, property division, alimony and all other related matters. As we handle all areas of family law, we can also help you with your adoption, name changes, paternity actions, pre- and postnuptial agreements, grandparent visitation issues, and more. Offering effective collaborative law services, we can help you resolve your conflicts and reach agreements without having to resort to timely, stressful litigation; however, should your case need to go to court, we will be right beside you every step of the way to help you achieve the positive results you deserve. In addition to family law, we also provide exceptional defense counsel to those who face DUI charges and aggressive advocacy for all types of personal injury claims, which can help you obtain the maximum amount of compensation after suffering an injury or loss caused by someone else's negligence. For more information on how The Law Offices of Keith F. Simpson, APC, can best help you secure a brighter future for yourself and your family, you can contact us to receive a free initial consultation concerning your matter. Attorney Keith F. Simpson provides his client's experienced legal representation and advice, excellent customer service and individualized services for their family law needs. 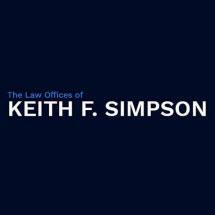 The Law Offices of Keith F. Simpson, a professional corporation provides experienced representation for family law clients throughout the Los Angeles area. If you are considering a divorce or have already begun the process, contact attorney Keith F. Simpson to learn more about your options. The goal of Japan's Children's Rights Network is to educate people to change Japanese laws and attitudes to help both parents receive a meaningful relationship with their child.